Get function and style with this multi-colored Farberware 28-Piece Kitchen Utensil and Gadget Set. It supplies you with the most essential gadgets you'll need for your food prep tasks, from appetizers, meals and desserts to snacks and beverages. The kitchen utensil set includes a slotted turner, a short turner, a basting spoon, a Euro peeler and a can opener. There are also tongs, a pizza cutter, a wing corkscrew, three magnetic clips and more. Use the wooden spoons and silicone spatula to protect your cookware. Open up those hard to open packages with the shears. You can keep the kitchen tool set all organized and within easy reach with the ceramic crock that is included. Because of its large assortment, this Farberware 28-Piece Kitchen Utensil and Gadget Set would make an exceptional and appreciated gift for a housewarming, for recent college graduates or for newlyweds.Perhaps the most widely respected of all kitchen brands, Farberware represents high-quality, classic styling and affordability in products you can trust. Immediately recognized as America’s houseware brand, today Farberware includes a wide range of kitchen products including tools and gadgets, cutlery, cutting boards and pantryware. Contains a complete assortment of essential kitchen cooking utensils and gadgets to build a well-equipped kitchenCeramic crock keeps your kitchen tool set organized and within easy reachIncludes stainless steel, nylon and wood tools and gadgetsAll items are dishwasher-safe with the exception of the can opener, wing corkscrew, bag clips, wood spoons, silicone spatula, shears and crock, which should be hand-washed and dried immediatelyKitchen utensil set comes with a lifetime, limited warranty against defectsFounded over 100 years ago, the Farberware® name has stood for value, quality and durability This commitment to the customer continues to this day. All of the Farberware family of products are designed with the consumer in mind and manufactured to the highest standards. Farberware offers a complete line of tools and gadgets, from classic to contemporary, for all of your food preparation tasks. With everything from a set of measuring spoons for precise cooking to an odor-absorbing splatter screen that protects you from splatters and cooking aromas, Farberware tools and gadgets are designed to make cooking enjoyable and efficient.Farberware 28 Piece Kitchen Utensil and Gadget Set : 5129145 Get function and style with this multi-colored Farberware 28-Piece Kitchen Utensil and Gadget Set. It supplies you with the most essential gadgets you'll need for your food prep tasks, from appetizers, meals and desserts to snacks and beverages. The kitchen utensil set includes a slotted turner, a short turner, a basting spoon, a Euro peeler and a can opener. There are also tongs, a pizza cutter, a wing corkscrew, three magnetic clips and more. Use the wooden spoons and silicone spatula to protect your cookware. Open up those hard to open packages with the shears. You can keep the kitchen tool set all organized and within easy reach with the ceramic crock that is included. Because of its large assortment, this Farberware 28-Piece Kitchen Utensil and Gadget Set would make an exceptional and appreciated gift for a housewarming, for recent college graduates or for newlyweds.Perhaps the most widely respected of all kitchen brands, Farberware represents high-quality, classic styling and affordability in products you can trust. Immediately recognized as America’s houseware brand, today Farberware includes a wide range of kitchen products including tools and gadgets, cutlery, cutting boards and pantryware. Upon examining the Farberware 28 pc tool and gadget set, I was impressed with how well the crock fits in a small space assembling most of the utensils in a neat and tidy manner. I like the farberware brand because they are known for quality products. Additionally, I liked the amount of kitchen tools available for meal preparation. First, I used the wire wisk, measuring cups and measuring spoons. I like the color of them and they are fun to use when using the visible measuring increments on the cups and spoons. I liked the sturdiness of the handle and the wires didn't bend as I wisk the mix I made. Also, I was able to use the spatula for turning and cooking eggs in my non-stick pan. The spatula didn't bend and withstands the hot temperatures of the pan I cooked in. I was able to use the large serving spoon for dipping chili and it will be used for soups and serving other foods in the future because it picks up an ample amount of food with a couple of servings for filling up a bowl. I used the can opener as well, it opens cans with ease of turning and it very sturdy. I was able to use the mixing spoon and it completed the task with ease when mixing the food. Additionally, all of the tools I used cleaned up well with handwashing and some others I was able to put in the dishwasher as stated on the box. Finally, all of the gadget tools are easy to use for meal preparation and gives me confidence as well delight to cook meals for my family using the Farberware 28 pc tool and gadget set. A great starter or even replacement set! This professional kitchen tool set has the perfect assortment for those just setting up a kitchen, or for those people who have had a kitchen for quite a while and need new replacements, like me. So it would make a great present for many people on your gift list. It's a great set for daily usage and like all Farberware products, they are attractive and very durable. I have nonstick pans, so I like that the slotted turner, short turner, basting spoon and silicone spatula (with wooden handle) are all safe for my pans. The handles are weighted and well balanced. All of those but the silicone spatula are nylon that is safe in temperatures up to 400° F. The silicone head of the spatula is safe up to 500° F. Of course the wood spoon and wood slotted spoon are also good for nonstick pans. The ceramic crock is just the right size, is nice and ‘hefty' and looks good on my counter. I wish it was machine washable, but hey, I'll live! I also like the can opener because it has a nice heft to it (doesn't feel cheap), opens wide for large cans and it ‘bites' right away and continues holding the can all the way around. The potato peeler fits nice in my hand and I don't have to struggle holding it as I peel like I do when I use a metal peeler. Plus it swivels so I can use it up and down on the potato. The tongs are on the smallish size, but I sometimes have a need for a smaller tong. So I'm sure it will come in handy. I could go on and on about all the different tools, but I'm really pleased with this set. So much so that I plan on buying one or two for Christmas presents. I am very happy with my 28 piece tool and gadget set from Farberware. All these tools and gadgets are very well made and are of high quality. The can opener is easy to use and not hard on your hands. I like the 3 bag clips as they are magnetic and I have them on my refrigerator to conveniently grab when I need one. I like the nylon slotted turner, short turner, basting spoon and spoon rest because they are well made and heat resistant to 400 degrees. The wooden spoons are nice to have whenever you need to mix, cook or serve with them. I like the high quality of the stainless steel on the pizza cutter, whisk, shears, peeler and tongs. The tongs come in handy for me because they are great to use when I serve chips or salad. I also use them to flip tortillas and chicken or steak that is on the grill. I would have liked to have another set of tongs but I'm very happy that one is included in this set. I like the way the measuring cups and measuring spoons are nestled inside each other because this saves room in my kitchen tool drawer where they are stored. I'm very please with the nice sturdy pie server as it is perfect for cutting and serving pies and cakes. The ceramic holder for these tools is very sturdy and large enough to hold most of these tools. I have it conveniently placed next to my stove for easy access when I'm cooking all I need to do is reach out a few inches and I have the tool that I need. I highly recommend this set as it exceeded my expectations. This would be a great wedding gift or house warming gift for sure. Farberware is a company that makes excellent products and I would definitely purchase more products in the future. What a great starter set. Farberware hit the nail on the head with this set. Are you looking for a wedding gift? This is it. This set covers a little bit of everything you need in the kitchen. I was originally a little concerned with the quality of craftsmanship when I first opened the box. I am very happy to report there is nothing cheesy about this product. The kitchen shears are solidly made with a great blade. The wooden spoons are light weight and I haven't been able to stain them yet. The fridge clip/magnets are made with good springs and a decent magnet. I think my favorite piece is the whisk. The whisk is not flimsy at all, the handle is well made and I was unable to bend it at all. The can opener works beautifully as does the peeler and wine bottle opener. I accidentally set the spoon rest on a still hot burner and no problem; it didn't harm it in the least. The silicone spatula is heat resistant to 500 degrees, which is great because I use mine in hot skillets constantly. In short, I love this set. 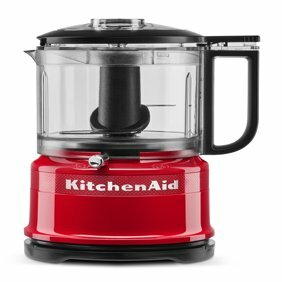 This is a great addition to my kitchen and would be great for anyone just starting out. The Farberware Professional 28-Piece Tool & Gadget Set contains various useful kitchen implements, not all of which I have had the opportunity to use in two weeks, though I have examined all of them to ensure that they function correctly. The implements all appear to be made of sturdy, good quality materials. Most of the implements were labeled as dishwasher-safe, and my experience thus far is that this is correct. The Euro peeler almost works too well -- it peels so deeply with little effort that I have to consciously put less pressure on it while peeling so that it does not peel too deeply. The portable can opener operates extremely smoothly -- when I used it for the first time I briefly thought that it was not working because it did not feel like it was actually cutting into the can. The shears are very sharp. The measuring spoons and cups are in the most frequently needed sizes and they have different colors that makes it easier to differentiate them. The ceramic crock provides a solid and convenient repository for implements, but it would have been better if it was just slightly larger so that it could hold more of them. Thus, on the whole, this is a good collection of basic kitchen implements for everyday cooking needs. I received this product free, but I honestly would pay for this. It is well far worth the buy. This set is professional and comes with everything you should need in your daily cooking. This kitchen tool set has the perfect assortment for those who are moving in to their first apartment because it would have everything you need but it would also be good for those people who have had a kitchen for quite a while and need new replacements. It would also definitely make a great gift for almost anyone on your gift list. It's a great set for daily usage and like all Farberware products, they are attractive and very durable. I am so happy with the durability and longevity of these. All the pieces are well made and were made to last. They are not cheap by any means and that is hard to find in large sets like these. The slotted turner, short turner, basting spoon and silicone spatula are all safe for non stick pans. The handles are weighted and well balanced. All of those but the silicone spatula are nylon which is safe in temperatures up to 400° F. The silicone head of the spatula is safe up to 500° F. Of course the wood spoon and wood slotted spoon are also good for nonstick pans. The ceramic crock is just the right size, is nice and ‘hefty' and looks good on my counter. I also really like the can opener because it is very easy to use. It opens wide for large cans and it clamps immediately and continues holding the can all the way around. It's quick and easy to use. The potato peeler fits nice in my hand and I don't have to struggle holding it as I peel. It also swivels so I can use it up and down on the potato. The tongs are on the smallish size, but I sometimes have a need for a smaller tong. I love the measuring cups and measuring spoons. They are all different colors which makes it easy to see what you need if your in a hurry. They come with a plastic ring to hold them together but it also is made to come on and off so if you wish to not have all your measuring equipment attached to each other, it comes easily off. The magnetic clips are an awesome bonus! The scissors are of very high quality! I am so happy with this set! I really love this set!! I was so excited when I recieved it. I actually did not know how much stuff came in this set. I love using the tongs, (I cannot help it, they are so useful.) The potato peeler, pizza cutter, can opener, and corkscrew really come in handy. The measuring spoons and cups are so useful to me since I don't have any. Everything really comes together and looks so nice in the ceramic holder that comes with it. I have already told some family members about this set, and I would recommend it to anyone. This is a great kitchen utensil set for the first time apartment or house person. It has almost any kitchen tool you need. The only things missing are an ice cream scoop and a garlic press. There are 5 gems in this set: The whisk is large and has stainless steel tines so you never have to worry about rust. The pizza cutter has a sharp stainless steel blade with a nice big handle. The can opener works like a dream it cuts without a struggle to stay in place. The veggie peeler has a sharp pivoting blade and a perfect handle makes quick work of peeling a potato. The scissors are top quality that will last a long time. The following items are above average: The magnetic bag clips are great with a strong spring I wish there were more than 3 of them. The measuring cups and spoons are heavy duty non flex plastic in an array of colors. The oversize spoon rest will keep your counter clean. The wooden spoons are a full 12” long (Nice). The lever action cork screw is built for years of use. The tongs are made of stainless steel and are 9” long. The ceramic crock is not too little nor is it to big it will hold the items you use on a daily basis so they are quick at hand. These are the items that are just average: The nylon spoon and turners are weak at the neck they flex a little too much. Be careful about how hot your pans are when you use these nylon items I was frying an egg on medium heat and used the slotted turner to flip it and the edge of the turner melted. The silicone spatula has a wood handle that is so rough you think you are going to get a splinter from it. This is a decent set of kitchen gadgets and tools. The box says "Professional" but, these wouldn't be good enough for someone who is in a more professional setting. For the most part, they were all nice to use. I especially noticed that the handles on everything were very comfortable to hold. Most tools seemed durable. I was not able to test the wine bottle opener. It seems less durable, but, again, I haven't tested it yet. I like the color coding of the measuring spoons and cups. This helps when you want to find the right size, you just have to look for the color. They are on a hook for hanging, if you want. They are a nice heavy plastic. I found myself using the basting spoon for a lot of things other than basting. It has a nice long handle and a large scoop, great for serving many foods. I may have liked the wooden spoons to be bamboo as it doesn't stain so much. These got a little stained from foods. The peeler and pizza cutter were sharp and worked great. The clips with magnets are very useful and at the ready when stuck to the fridge. The crock is a nice size for the counter. The only thing I would've liked to have is a long fork, like the basting spoon. Some tools are dishwasher safe, some are not.